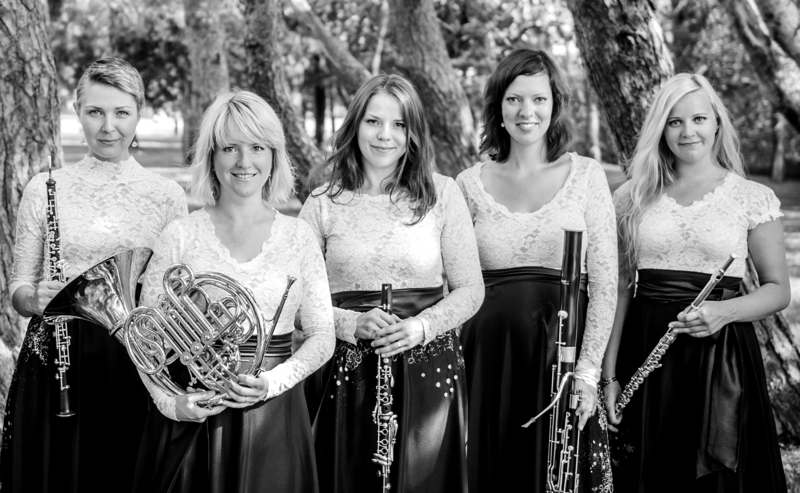 Woodwind Quintet Estica has brought together young Estonian wind players who all studied at the same time in Estonian Academy of Music and Theatre. Their first concert that featured Estonian music only was also given at the Academy in 2010. It had a meaningful title Head varjata ei saa (One can not keep good stuff under wraps). Albeit being dedicated to promoting Estonian music, most of the members have also been studying abroad to improve on their musical skills. Woodwind Quintet named for Jaan Tamm (legendary Estonian chamber music ensemble most active from 1950s to 1980s) inspired many Estonian composers to write new music for woodwinds. Most of the compositions created during Soviet times were left without the opportunity to be known by wider public due to political circumstances, although there can be a lot of classy pieces found among them. Members of Woodwind Quintet Estica wish to continue the tradition of woodwind quintet in Estonia by interpreting respectable Estonian woodwind quintet music and commissioning new pieces.